Charlwood Estates is a modern ultra-high quality place to live. Charlwood Estates offers the best in country living with all the convenience of the suburbs. 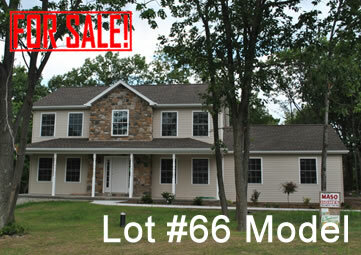 Close to schools and shopping, Charlwood Estates is located near interstates 80 and 81 in northeastern Pennsylvania. Easy access to New York and Philadelphia make this an ideal home base for the traveling family or professional. In addition, the nearby Pocono Mountain Vacation Area offers unsurpassed recreational opportunities. Top quality construction is another hallmark of Charlwood Estates. Charles Maso & Sons has been satisfying new home buyers for over 50 years, and has used all it’s experience to create in Charlwood Estates a top-quality living environment. Utilizing the best in construction materials, custom interior design and selection, and features such as poured foundations and aesthetically pleasing underground utility placement, Charles Maso & Sons has created a living environment in Charlwood Estates that is second to none.